Hosted by ATMFD · #TycoonRevolution!!! Hi.Are you tired of the same first/third person action rpg games every day,well so am I.Where are those wacky funny games that brightened our day and satisfied our greedthe managing the stress and the cheatsthe simulation innovation. 1.game must be a simulation game. 2.you can continue developing your game.but keep the jam version different. 3.criticizing is okay but no harsh language. Q.what is a game jam? A. A game jam is a competition of sorts where varieties of game developers submit and compete with each other.sometimes it has a theme. 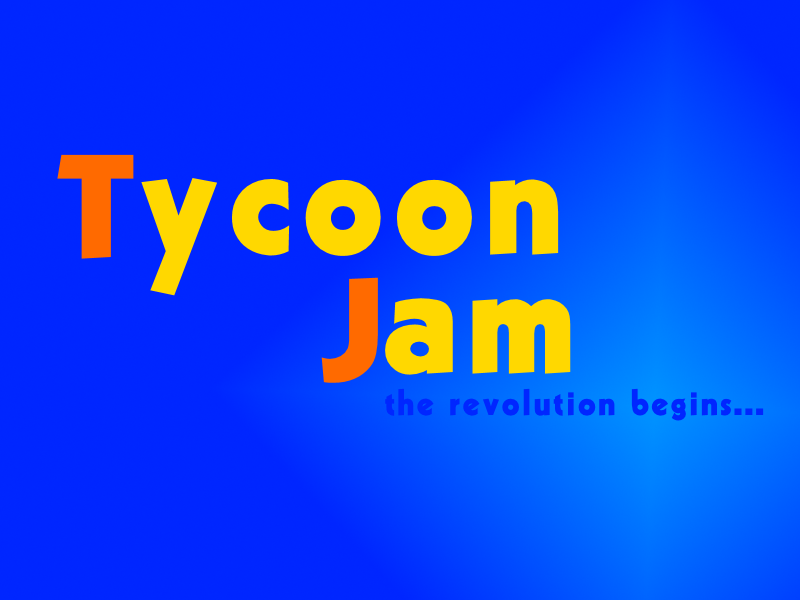 A.tycoon jam is a game competition for amazing new simulation games. A.tycoon jam because there hasn't been many tycoon game for a long time. A.itch.io is a indie game market place which also hosts jams. A.because it gives more opportunity for the game to rise and heal the world. Q.why should i do this? A.you should do this to either improve your skills or just simply revolt!!! Q.where can i contact you? A. you can contact me at my FB page here. Q.can i post commercial games? A.yes you can but you must email the the game to me.don't worry i will not sell or copyright anything.you can also give out a demo but then i will only judge the demo.